King Rex is a Taiwanese company making affordable audio products as an entry way for audiophiles to get into better computer audio reproduction at reasonable prices. 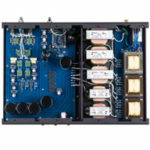 I recently reviewed their T20U class T integrated amplifier which had its own on-board USB DA converter, allowing users to connect their computers up and enjoy music. However, the DA converter used in the integrated amplifier is capable of only 16/44 resolution and as such is more of a teaser addition to the amplifier. 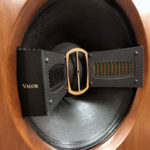 Though I liked the idea of having the added DAC because it allows consumers to get their feet wet and into computer audio, to the more experienced computer audio users, of course, that device may seem stone age. That said, given the price of the amplifier, the added DAC was the cherry on top of a wonderful budget amplifier. KingRex offers more upscale computer audio devices such as the UD 384, which is a small () dedicated USB DAC about the size of a Western Digital USB powered external hard drive, and can be plugged into the wall, or one can purchase a U-Power battery supply and more upscale U-Craft(Y) USB Y cable which is a USB cable that is split in order to bypass AC current for DC. The U-Power battery pack is the same size as the U384 and is an aesthetic match. Both devices are nicely made aluminum milled cases that are attractively curved. Both are quite light and would serve nicely for portable use. First, let me say that I’ve been slow to moving to computer audio music reproduction. Back in 2005, I recorded numerous albums in Windows Media Lossless over to external hard drives as I took a job teaching in South Korea and could not lug my music collection half way around the world for a job I may not have liked. Fortunately, I made sure to use lossless compression and have since been using FLAC for music files. Hard drives are so cheap these days that we can have several drives for back-ups. I now have nine external hard drives, and as a traveler I can tell you carrying these around is far more preferable than lugging around 20 LPs, let alone thousands. I also purchased a Total Bithead headphone amp and DAC in 2005 which I used with my Sennheiser HD 600s, connected up to a rather irritating iPod and iTunes system which infuriated me on numerous occasions and basically set computer audio aside. 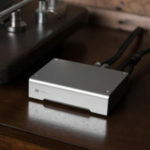 Fast forward to 2013 and a lot of praise has been given to budget-priced computer audio DACs, as well as to the units designed for Sultans and CEOs. Further, there are far more recordings being offered at higher resolutions from the likes of HD Tracks which began to once again get me to take another look at computer audio options. As a result of moving to Hong Kong, the issue of lugging even more CD’s and LPs that I have collected since 2005 would be even more of a headache. If you’re wondering why I am spending time discussing this, it’s because there is more to an audio product than sound quality, build quality, and aesthetics. These are portable devices that take up very little space. Even with the battery pack you could take them along with your laptop, and both units and the USB cable will fit into your laptop case — certainly handy for audiophiles wishing to bring their own music to dealers or audio shows to connect up their own know reference music and a DAC with which they are familiar. I will start with the KingRex UD 384 on its own. 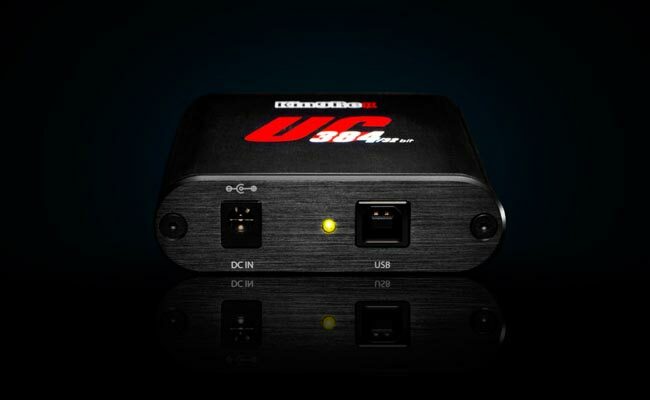 The DAC comes with a standard USB cable and a small flash card to load the program onto your PC/Mac. I use a Lenovo Edge Thinkpad laptop and the process was very quick and easy. KingRex recommends that you use Foobar2000 as the media player and since this is a free program it’s nice to see it as the recommended platform. I won’t get into media player platforms – those debates rage on forums and this is a review of KingRex products based on their recommended media player. I appreciate that Foobar2000 is a simple and straightforward platform but understand that it is probably too simple for many. Still, I would argue that if you’re new to computer audio and you don’t yet own a smart phone or are not all that computer savvy, Foobard2000 is probably the perfect place to start. Besides, for free it can’t help but exceed your expectations. Computer Audio is a somewhat difficult avenue to negotiate because unlike plug-and-play compact disc or SACD or to a degree vinyl playback, computer audio has a labyrinth of techno-babble to wade through, and a myriad of issues that can influence sound. I covered one with the media player. I reviewed this DAC with Foobar2000 and I can already see future forum comments that Richard should have used J-River to get even better results, or that I should have used an Apple or Asus laptop; such is the nature of computer audio. It’s impossible to account for every variation. Will it sound better with computer B, or media player X? Maybe. I liken it to tube rolling where you can change out a tube and get better sound but this is a review in stock form with the recommended program. The computer factor is always in play and you never know if the program is actually going to work. I mean, Vista and ME2000 didn’t work; so you never know. What I ask for is that it must work. I must say I appreciated that the KingRex DAC worked immediately and didn’t give me fits in any fussy operation. When I had Windows Vista I was about to throw my laptop out the window, so KingRex was already in my good graces from the get go. This is not to say I had completely trouble free operation, as occasionally music would freeze for couple of seconds and then keep going. I tracked the problem down to my USB hub. For my system, it is much better to directly connect the hard drive to an available laptop USB and bypass the USB hub, though I should note that my USB hub is of the $10 variety off a street in Korea. So your mileage may vary. 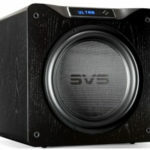 I must admit I was concerned about dipping my toe into reviewing computer audio devices, as it is far too easy for reviewers to get themselves in trouble writing about things they don’t really understand. I was reminded, however, that the main goal here is to review the end results in terms of sound, user friendliness, and build quality. Anyone who purchases a car reviews the end results and it is not necessary to understand in detail each design point of the engine. While that can be useful, of course, for critical driving parameters, engineers also get caught up in the technology over the results. I learned long ago that technically inferior gear has managed to sound a lot better than technically sophisticated gear. Single Ended Triode amplifiers don’t take a back seat on music reproduction even if their technical merits are laughable. That said, computer geeks love their numbers and I will note that the UD 384 is a 32/384 bit USB DAC and also serves as an asynchronous USB/SPDIF converter rated as 24/192. It has one SPDIF output and 2 RCA outputs, a USB input and a DC input. And that’s it. If you wish more technical information there is an abundance on the internet. I know people will grab onto the 32/384 number but at this time there are so few recordings available that it kind of makes this feature a moot point. If you have some recordings at that bit rate, then this is one of the few current budget options available that can play those files at that resolution. It should also be noted here that this is strictly a USB DAC and converter and it is made for computers, so you can’t use it as a DAC to upgrade one of those old CD players lying around the house. II. Major component: High quality Sanyo Li-ion battery. III. Power volume: 2600mA/hr. Included special design for isolated protect circuitry for two Li-ion batteries. IV. Using fully high quality aluminum for styling & cooling. V.	Low battery indicator design for charging reminding. VI. CHG/DC out switch. Fully isolated the charging and discharging. It will free the AC noise from the charger. VII. Parallel charging- each cell could charge to its maximum by the design. It’s also in the same ball park price and has similar general specs.